Chances are if your job has ever felt more than a little like Groundhog Day for even a few minutes you've drifted off into wondering what life would be like tracking down Jedi's alongside Bobba Fett or having a few brews with Han and Chewie. 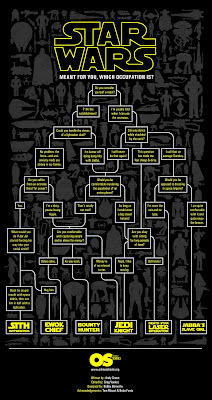 Well in the style of 'Do or do not, there is no try' those happy campers at nerdbastards.com have showcased this - the ultimate career guide for any inhabitant of the Star Wars-e-verse. Where will you end up? 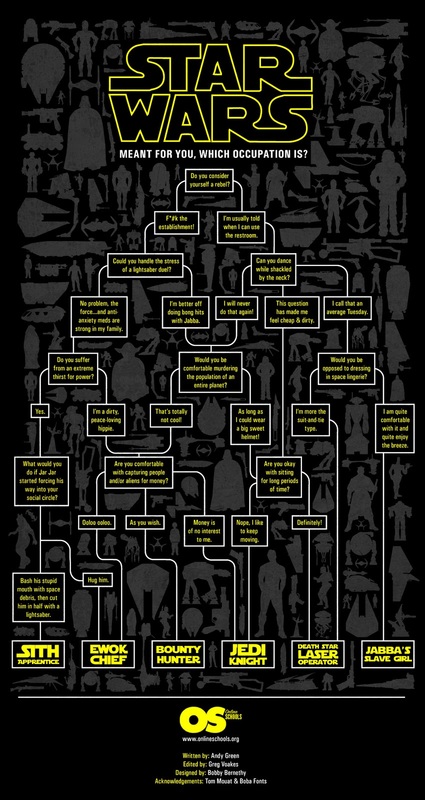 Only the flow chart knows for sure, so click and enlarge to find out. I thought so too ToB! Made me laugh a few times that's for sure. Glad to see you back on IADW - hope 2011 is off to a good start for you!